Farmers markets often are brimming with other level produce you would never find at the grocery store. Case in point, celery. This head was so deep green and overflowing with leaves that it became the centerpiece for Sunday night supper before being called into action for all sorts of dishes this coming week. 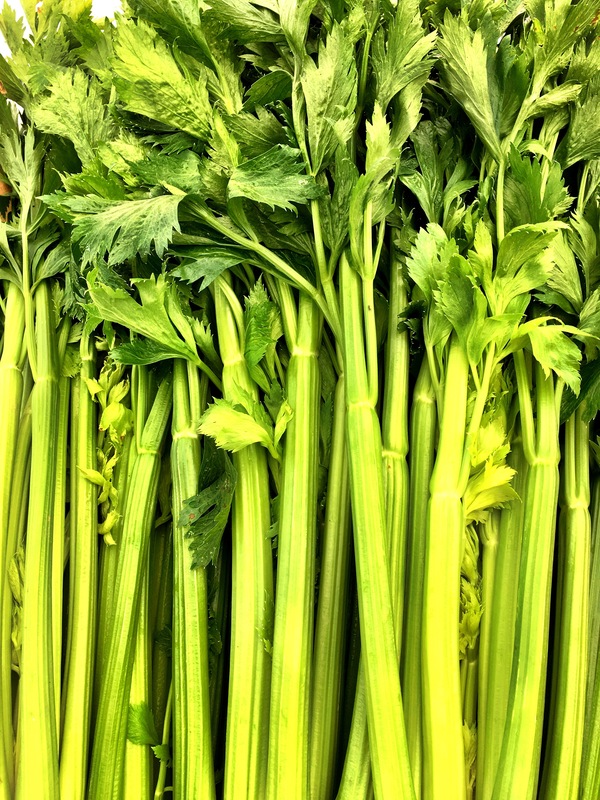 If you see a bunch of celery with their greens attached (most grocery stores take most to all off) grab it. 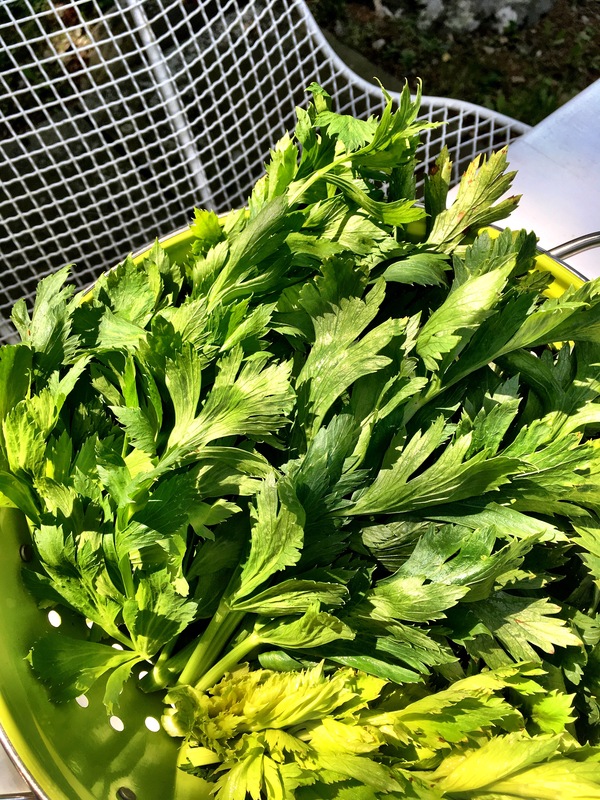 Celery leaves can be quite wonderful to use in many dishes. You are most likely to find them still attached at farmers market stalls, as the most growers know how delicious the greens can be. Think of using them like an herb, swapping out parsley for a nice extra green kick. We found the above, which when I cut them off gave us a whole colander of the below. We found the celery at the Hudson Farmers Market several weeks ago. I washed them up, dried them off and placed them in the veg drawer in the fridge and we used them for a whole week. Mix with salad greens to elevate a simple salad. Make celery green pesto. My love for celery greens began at Prune in New York City many years ago, where chef Gabrielle Hamilton often uses them in her dishes. She made a celery salad using both the stalk and the greens along with radishes and a good amount of garlic for a sublimely pungent salad. You can also chop them up finely to add to soups or risotto for a bit of freshness. I love the challenge of coming up with creative ways to use something that so often is discarded. Once you give them a try, I think you will too.